The Senate’s expected to vote on a health care bill this week, though which bill they will vote on is still unknown. 1) The Senate’s plan to repeal and replace the Affordable Care Act (better known as Obamacare). 2) A plan to strictly repeal Obamacare. 3) The House of Representative’s plan to repeal and replace Obamacare. It will start with a motion to proceed on Tuesday, that will open up 20 hours of debate before the Senate begins to vote. Here’s what you need to know about the bills the Senate could consider. On Thursday, Republicans in the Senate just released another update to the Better Care Reconciliation Act, or BCRA, their plan to repeal and replace Obamacare. This is the effort that ran into trouble last week after Senator John McCain fell ill and some other Republicans declined to go along with the vote. The latest draft of this bill includes more funds to tackle the opioid crisis, and a change to allow people to pay for premiums using health savings accounts. The bill also still includes deep cuts to Medicaid, with an estimated $US756 billion cuts by 2026 according to the Congressional Budget Office. But notably absent is an amendment from Senators Ted Cruz and Mike Lee that critics said could make plans with adequate coverage unaffordable to those who have certain medical conditions. The amendment titled the “Consumer Freedom Amendment,” would have allowed plans to exist that don’t comply with two regulations set up under the Affordable Care Act: community rating and essential health benefits. The latter could have had a big impact on people with pre-existing conditions. Key parts subject to Byrd rule: On Friday, the Senate parliamentarian said that major parts of the BCRA would be subject to the Byrd rule, an obscure piece of legislation that requires the bill to have 60 votes in its favour to avoid a filibuster. Any other legislation would simply need 50 votes. 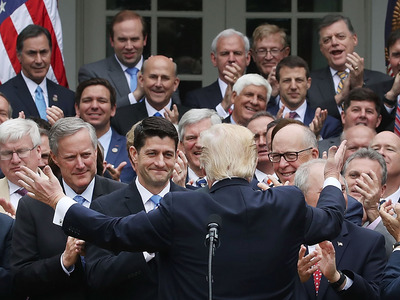 Included in the list of provisions subject to the Byrd rule are defunding Planned Parenthood, restricting the use of tax credits for abortions, and getting rid of the essential health benefits for Medicaid in 2020.
unexpected effect on deductibles: they could get so high they’re actually more than the poorest Americans earn. The bill would cut $US756 billion from Medicaid through 2026. 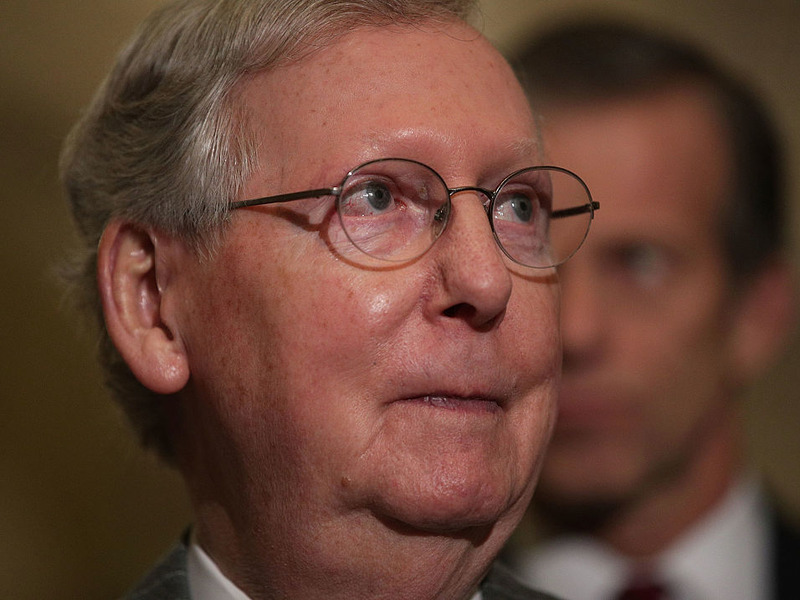 Senate Republicans are also mulling over a plan to simply repeal the Affordable Care Act. Titled the Obamacare Repeal Reconciliation Act (ORRA), it is nearly identical to the bill that was vetoed by President Barack Obama in 2015. The bill would repeal all the provisions put in place by the ACA, including key taxes, the Medicaid expansion some states opted into and getting rid of mandates for employers and individuals to provide and have insurance. The repeal would begin in 2020. CBO’s conclusion: According to the agency, 17 million fewer Americans would have health insurance in 2018, a number that would grow to 32 million by 2026. By 2026, health insurance premiums are expected to double. Cuts to Medicaid would hit $US842 billion by 2026. 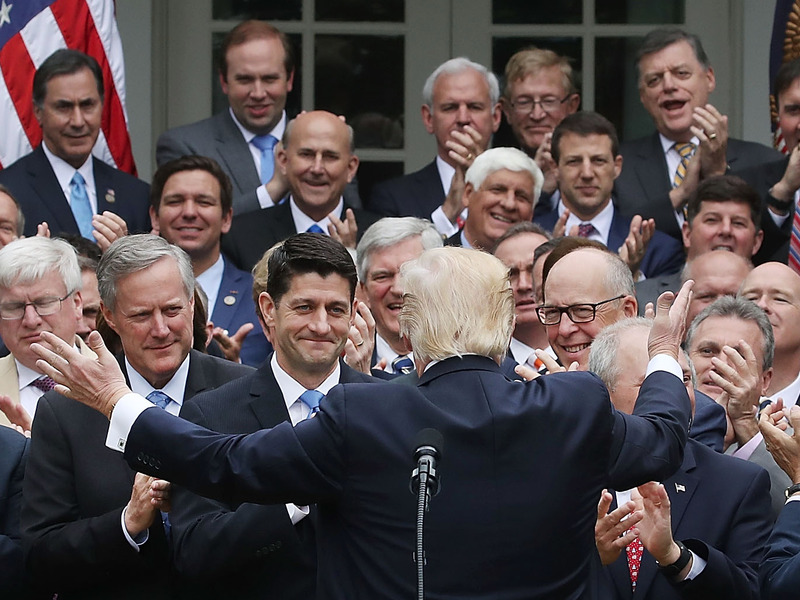 Mark Wilson/Getty ImagesPresident Donald Trump (C) congratulates House Republicans after they passed legislation aimed at repealing and replacing Obamacare, during an event in the Rose Garden at the White House, on May 4, 2017 in Washington, DC. There’s also still the chance that the Senate could decide to vote on the AHCA, the version of repeal and replace that the House of Representatives passed in May. preexisting conditions won’t be able to access health insurance if it becomes law. CBO’s conclusion: 24 million fewer Americans would be insured by 2026, with roughly $US880 billion in cuts to Medicaid through 2026.